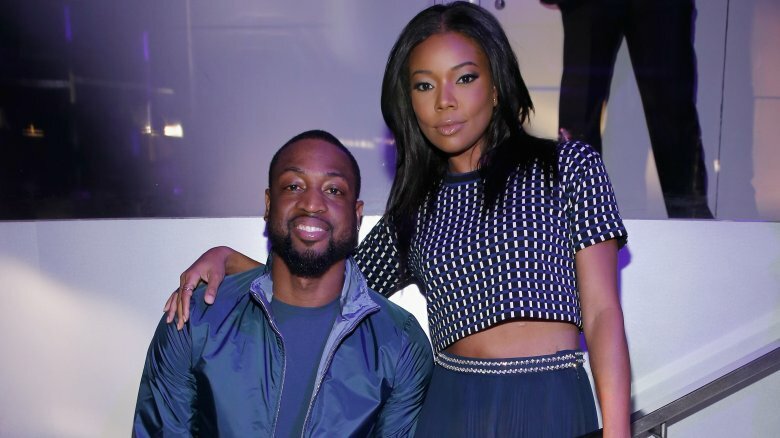 Professional basketball player Dwyane Wade got down on one knee and proposed to his then-girlfriend, actress Gabrielle Union, in December 2013. That engagement was a long time coming, considering the couple had been dating since 2009, and Union had become a loving and supportive fixture in Wade's children's lives, as well. Perhaps their snail-paced journey to the altar had a lot to do with the nontraditional start to their union. For one, Wade was married to his high school sweetheart when he and the Bring It On star began their romance, and in the years leading up to the duo saying "I do," he would go through a lengthy divorce and custody battle with his ex-wife and conceive a baby with another woman. Sounds pretty messy already, doesn't it? Well, just wait. It gets even weirder. 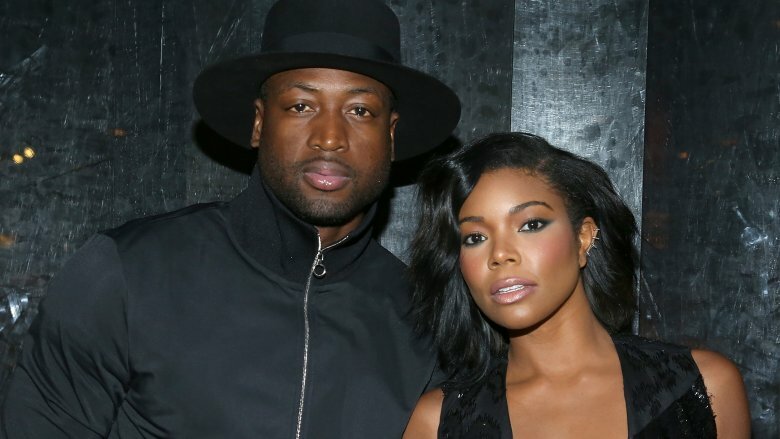 Here are all the strange things about Dwyane Wade and Gabrielle Union's marriage. 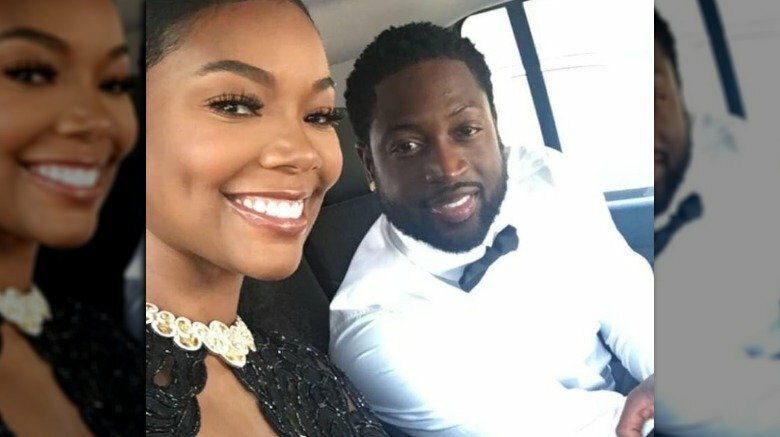 Prior to meeting Dwyane Wade, Gabrielle Union had more than a few unsuccessful relationships with other athletes. There was former NBA star Jason Kidd who dumped her "two weeks before the junior prom," she told the Bay State Banner. And then, there was former professional football player Chris Howard, who Union wed in 2001. After he reportedly cheated on her throughout their marriage, the couple decided to call it quits, Today reported. Striking out in the sports world meant Union wasn't keen on dating another athlete ever again, especially not someone who arrived with a ton of baggage. "When I met Dwyane, his 'résumé' looked like crap: athlete, going through a divorce, nine years younger than me. None of that screamed, 'Let's have a lasting relationship,' she told Glamour magazine. Union finally had a change of heart after "a heart-crushing breakup with yet another immature jerk." She added, "I thought, it can't be any worse if I date a fetus. Let's just see what happens." Okay, their age difference makes us a bit uncomfy, but did she sorta kinda call Wade a fetus? Talk about a low-blow. Dwyane Wade's life was in complete disarray when he began dating Gabrielle Union in 2009. Not only was he still legally married to his then-wife and high school sweetheart, Siohvaughn Funches (pictured, right), but the two were embroiled in a nasty divorce and custody battle. TMZ reported that Funches accused Wade of infecting her with chlamydia during their marriage. She later withdrew her claim, reported The Associated Press (via the Sun-Sentinel), but Wade moved forward with a $50,000 lawsuit against her for causing him "embarrassment" and "humiliation." Things quickly spiraled. 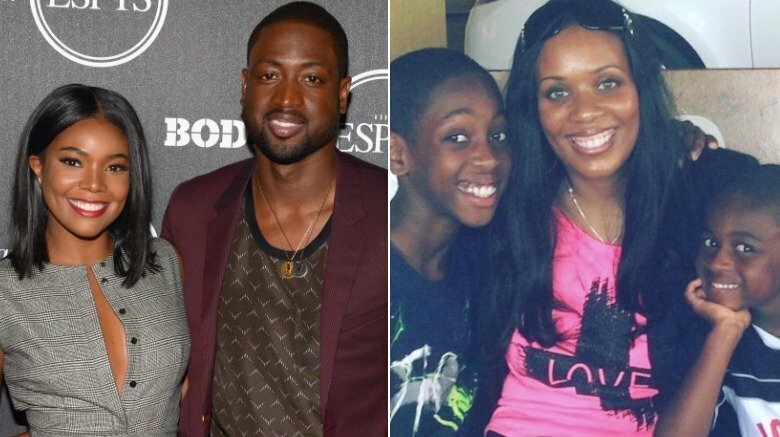 Wade filed for sole custody of their two sons, Zaire Wade and Zion Wade (pictured, right), which he was later granted. Funches was arrested for allegedly kidnapping their sons. At one point, she accused him of being a drunk and a druggie, and he accused her of throwing a marble object at him during one of their heated arguments, ESPN reported. What a mess! Not surprisingly, Union had doubts about continuing her relationship with the professional baller, but she eventually decided it was worth it after she "did a lot of talking with girlfriends and sorting through my feelings about the madness," she told Jet (via Us Weekly). Wade's divorce from Funches was finalized in 2010. But still, holy moly. Oodles of dramz! Did you think Gabrielle Union made it through the aforementioned divorce debacle without taking a few punches? Think again. She was dragged through the dirt and into the legal melee, too. 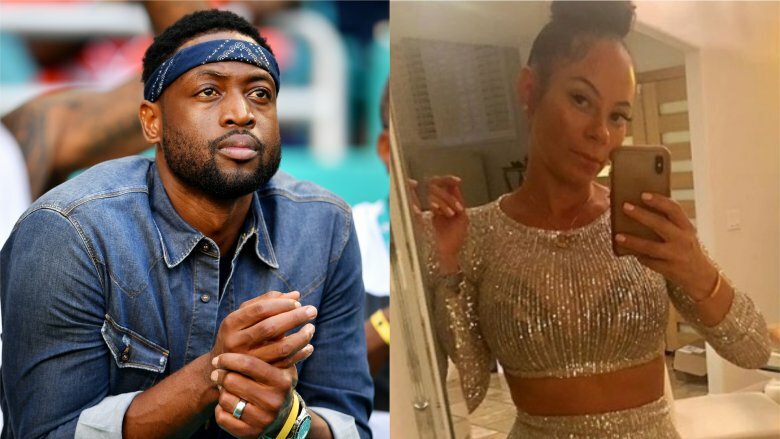 Siohvaughn Funches claimed in a lawsuit that the actress and Dwyane Wade "engaged in sexual foreplay" in front of their two sons, which reportedly led to the eldest son developing anxiety, reported E! News. A judge later tossed that case, but in the midst of all the messiness, critics labeled Union a homewrecker. Union has denied doing anything wrong, telling Jet magazine (via Us Weekly) that the love she shares with Dwyane Wade is "a gift." She added, "It's so consistent. There's no way that I would trade it for people who refuse to simply acknowledge the truth." Dwyane Wade and Gabrielle Union's December 2013 engagement coincided with another jaw-dropping announcement. The couple had briefly parted ways earlier that same year, and during their break, Wade fathering a baby boy with another woman. He revealed the baby news during a press conference (via E! News). The child's mother, Aja Metoyer (pictured, right), told Bossip in May 2017 (without directly mentioning Wade or Union by name,) that she and the basketball star had known each other for "10 years plus." She added, "It seems messy but if you compare it to any other situation, it's no beef. Everybody's good. Everyone's extremely happy." Um, yeah, we're not sure we're buying that. TMZ dig some digging and reported that all was not so black and white within this triangle. The tab claimed Wade and Union were not on a break when he impregnated Metoyer, though Union and Wade have insisted there was no cheating. TMZ noted that Union's social media activity in February 2013 — around the time the baby was conceived — didn't hint at a breakup. In fact, the actress had reportedly posted a series of romantic photos of Wade on her Instagram account during that time. However, in April 2013, Union began posting sad, cryptic messages. Her mood picked back up in May when she began to gush over Wade once again. "One would assume it was right around this time that Union decided to take him back," TMZ wrote. Messy indeed. While fans were still reeling over the news that Dwyane Wade had fathered a child with someone other than Gabrielle Union, the couple moved forward with planning their fairy-tale wedding. When Union spoke with Us Weekly in June 2014, she admitted that Wade had taken control of all of the logistics. "He realized that I was trying to turn it into a frat party with k-cups and beer pong, and he took over," she said. "He really Kanye'd himself and really doubled down, and it's his princess day and I'm just along for the ride." Since it was Union's second wedding, we can somewhat understand why she may have felt so laid-back about it, but we think Wade made the right decision to grab the bull by the horns. Their beautiful August 2014 wedding at the Chateau Artisan in Miami was one for the books…sans kegger. Nice call, Princess D-Wade. 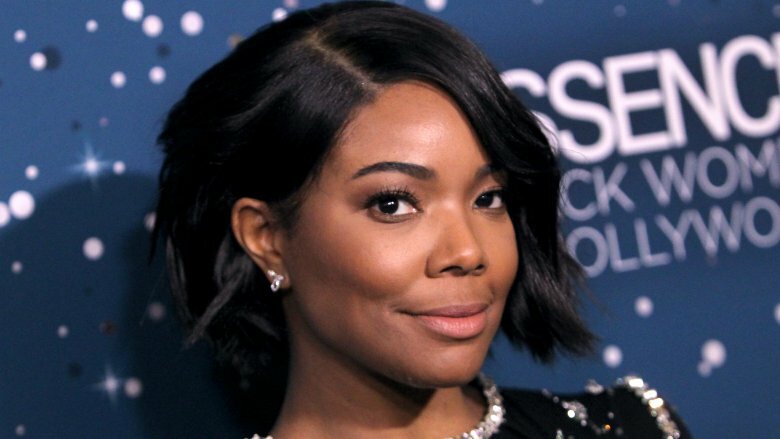 If you're at a Miami Heat basketball game and you hear someone going absolutely ballistic and heckling like there's no tomorrow, Gabrielle Union is most likely the culprit. As of this writing, Wade has won three championships with the Heat,so he obviously knows a thing or two about the game of basketball. Still, that hasn't stopped Union from chiming in from the peanut gallery. She has even mocked his poor performances in interviews. "Last night he took an incredibly bad shot," she told Ocean Drive magazine in 2016. "It went off of the side of the backboard. It didn't even come close to the net!" Her criticism reportedly got so bad that Wade even banned her from sitting courtside at his games. "I'm like dance mom. I've become like Bobby Knight and like The Great Santini, it's bad. [I scream] like 'brick!' and 'air ball!'" Union told Conan O'Brien. As weird as it may seem that she unloads such harsh criticism instead of sugarcoating her words, Union has a solid reason why she's so tough on her hubby, telling O'Brien, "Who's gonna tell him if not me?" Welp, enjoy those nosebleed seats, Gabby! 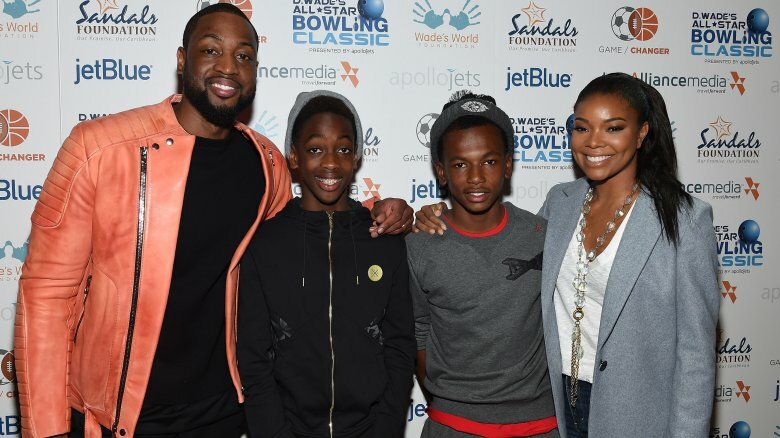 Dwyane Wade and Gabrielle Union live an action-packed life, complete with frequent vacations to every corner of the globe, but when it comes time to relax, they like to chill with their family, which includes Wade's three sons from previous relationships, his nephew Dahveon Morris (pictured, second from right), who they're also raising, and their daughter, Kaavia James Union Wade, who the couple revealed to the world in November 2018. So what do two rich and successful celebs like to do during their downtime? "One of D's favorite things to do as a family is go to Walmart," Union told Ocean Drive magazine. She confessed that when they're in Miami, it's more challenging for them to to do regular, everyday things, but when they're in Los Angeles, all bets are off. "We really enjoy Walmart, Target, going to the grocery store. He loves to take the dogs to the car wash. He's the guy with the Maltese at the car wash!" she said. Celebrities — they're just like us!